Our knowledge of sawfishes may be limited, but we can be fairly sure that they were once far more abundant than they are today. In a bid to establish just where they occurred, where they no longer occur and where they may be just hanging on, Ruth Leeney is conducting interviews with artisanal fishers – and in Madagascar has found ‘the king’. Two young men in northern Mozambique show the contrast in size between the small rostrum of a just-born largetooth sawfish and the huge, heavy rostrum of a mature animal of the same species. The latter came from a sawfish caught in 2014 by a fisherman in northern Mozambique – the fisherman's nephew and son are pictured here. At first I thought nothing of it. Distracted by the task ahead – setting a net 100 metres (330 feet) long, just before midnight – I assumed that the moon was full and busied myself with disentangling the net and checking the floats, grateful for the pale gleam that surrounded us. But the sky was dark; it was the sea glowing all around, green and blue, as if lit from below by a huge spotlight. As the boat picked up speed, the water dancing off its bow looked like sparks of blue fire. Laughing in delight, I dipped my hand in the water and brought up droplets of glittering turquoise. At that moment, we were a tiny bubble of phosphorescence in a sea of darkness. Mahajamba Bay is a huge, jellyfish-shaped bay on the north-western coast of Madagascar. Its shores are hard to reach: over land, it takes several uncomfortable days in public transport from Majunga, the nearest large town. A sail boat is faster, but more precarious. This relative isolation might, I hoped, have offered the region some protection from overfishing and the exploitation of resources such as mangrove timber. However, in my conversations with local people it became apparent that activities far inland, in parts of this great red island where the local people have never even seen the sea, were having an impact on the communities and ecosystems of Mahajamba Bay. Two rivers, the Sofia and the Mahajamba, flow into the bay, but local fishermen told me that in recent years the mouth of the Sofia has become too shallow for their boats, preventing them from entering the river to fish. 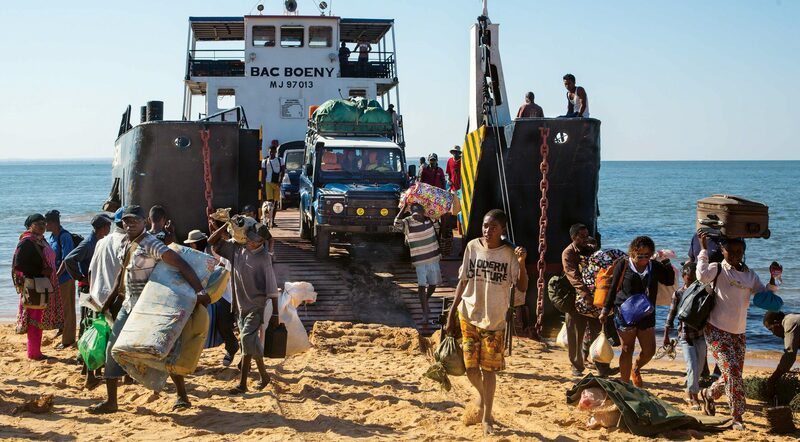 I heard similar stories from fishers along some of Madagascar’s other major rivers, too. This siltation – the accretion of sediment at the river mouth – is probably due to erosion occurring far upriver. Erosion is a natural phenomenon, but has been accelerated in recent decades by deforestation and intensive farming practices. 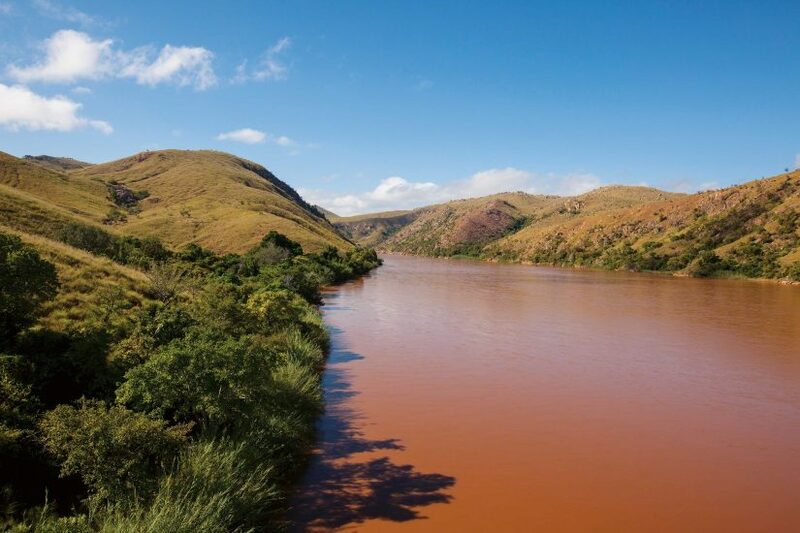 International aid and development agencies have described Madagascar’s erosion rate as one of the highest in the world. Even far out in the bay, the water around us was the colour of hot chocolate, not at all the tropical azure I had imagined the Indian Ocean to be. A fisherman at work against a backdrop of silhouetted baobab trees at twilight. Tangles of channels edged with lush swathes of mangroves lead away from the bay. The first fishermen I interviewed in this region were a group of subsistence fishers who had a camp – little more than a rickety collection of mangrove-wood planks forming three walls and a partial roof – on a bank of one of the mangrove creeks. They had no running water and certainly no electricity; essentially they had nothing more than their small wooden canoes. Much of Ruth's work relies on interviews with fishing communities. She asks them about the significance of sawfishes in their culture and when the animals were last seen. She also looks for physical evidence. In this image, she is discussing how sawfishes use their rostra with local children in northern Mozambique. Sawfishes have a significance in many traditional cultures around the world. In West Africa, they are a symbol of strength and protection; in some places, their rostra are displayed on the roofs of houses or in front of cattle pens to ward off evil spirits. But aside from what the fishers in Mahajamba Bay told me, I heard little to suggest that sawfishes have a special significance in Madagascar. Rather, some fishermen spoke of the guitarfish as a benevolent spirit and recounted a traditional story in which fishermen whose boat had capsized were saved by a giant guitarfish, which lifted them onto its back and carried them to the shore. 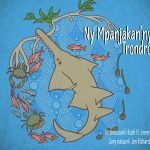 Because of this story, it was strictly taboo to catch guitarfishes in many Malagasy fishing communities. And now? Unfortunately times have changed, an older fisher explained, and there are those who are willing to ignore their traditional beliefs because they know that the fins of just one guitarfish can fetch a significant sale price. 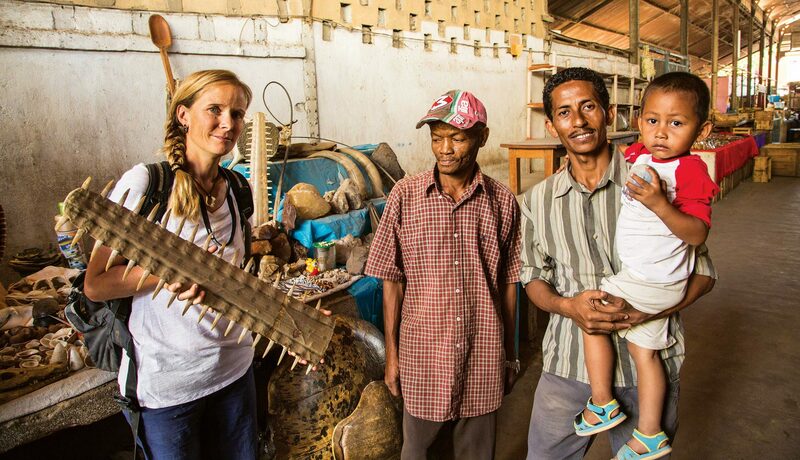 The fins of sawfishes are almost as valuable, as most fishermen in Madagascar are only too well aware. A fisherman and his wife rest in their pirogue after setting their nets among the mangroves in northern Madagascar. Engaging with fishing communities is critical if we are to protect Africa's remaining sawfishes. Interestingly, I have heard similar stories relating to sawfishes travelling and even feeding in pairs from fishers in Mozambique and even as far away as The Gambia, which suggests that there may be more than just folklore to this belief. This is only one of the many unknown aspects of the lives of these mysterious animals that I hope to learn more about as my work moves from baseline studies – developing a basic understanding of where sawfishes still exist and where research and conservation efforts will be viable – to understanding their ecology and how their fate is intertwined with that of the human communities around them. Sawfishes were formerly found in coastal waters throughout the tropics and subtropics, but populations globally have declined dramatically in recent decades and in many countries where sawfishes were formerly abundant they are now locally extinct. This precipitous decline probably results from a combination of multiple factors: their vulnerability to being caught accidentally in fishing nets and lines, as well as their targeted capture for the shark-fin industry; the destruction and degradation of their coastal and estuarine habitats; and their low reproductive rate. While it is too late for many sawfish populations, there is some hope that immediate action may prevent others from succumbing to the same fate. Further into Mahajamba Bay, the phosphorescence had gone and quiet darkness enveloped us as we began to set the net, careful not to entangle our toes in the mesh as, hand over hand, it slipped into the blackness alongside. Such enchanted moments are fleeting; the reality of life in these far-flung corners of rural Madagascar is far from magical. There is limited or no access to schools or health care, and opportunities to improve daily life are few. In many cases, dwindling fish stocks mean that families struggle just to get enough to eat. Communities along Madagascar’s coasts and rivers are largely dependent on anything they can catch as a means of survival. An aerial image of north-western Madagascar shows typical sawfish habitat. Historically, sawfishes were prevalent in mangroves and estuaries around the world, but more recently these vulnerable rays have disappeared from throughout much of their range. 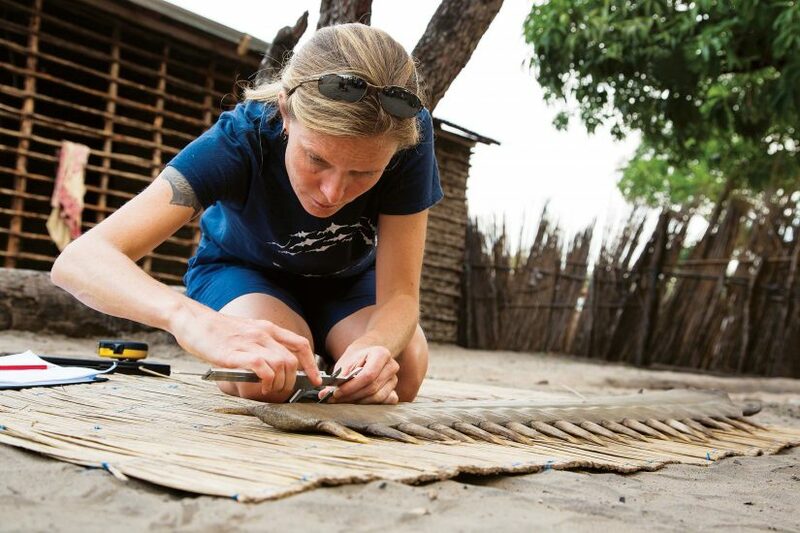 For the past five years, Ruth Leeney has visited some of the most remote parts of Africa's coast in search of remaining sawfish populations. Her most recent research has taken her to Madagascar and Mozambique. If sawfishes are to be protected effectively in such areas, we must develop conservation approaches that address not only the threats to sawfishes and their habitats, but also the needs of the human communities in and adjacent to those habitats. Education is a critical component of any conservation effort, to help communities understand why it is important to protect their local population of sawfishes and how they will benefit from doing so. Ruth Leeney with a sawfish rostrum. 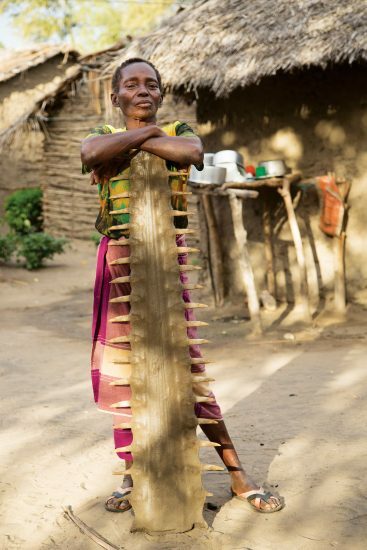 Some fishermen keep sawfish rostra for decorative purposes. Liberia My study in Liberia focused on only one small section of the coastline, Lake Piso, where anecdotal reports had suggested that sawfishes may be present. 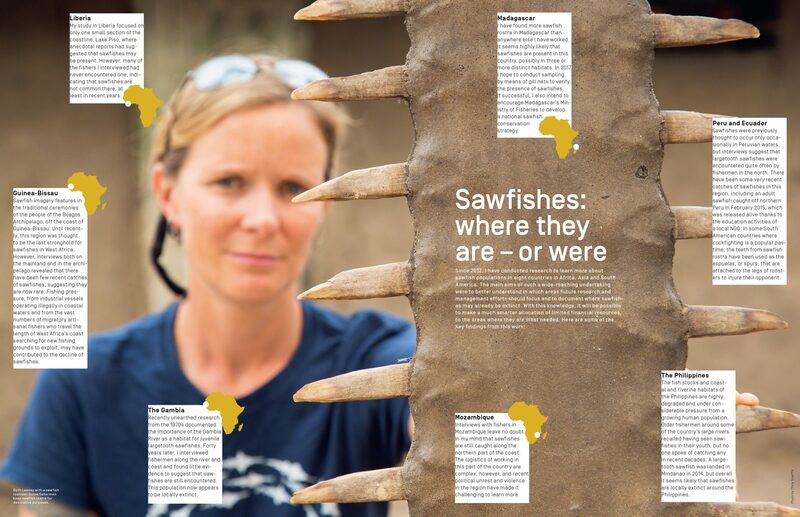 However, many of the fishers I interviewed had never encountered one, indicating that sawfishes are not common there, at least in recent years. Guinea-Bissau Sawfish imagery features in the traditional ceremonies of the people of the Bijagos Archipelago, off the coast of Guinea-Bissau. Until recently, this region was thought to be the last stronghold for sawfishes in West Africa. However, interviews both on the mainland and in the archipelago revealed that there have been few recent catches of sawfishes, suggesting they are now rare. Fishing pressure, from industrial vessels operating illegally in coastal waters and from the vast numbers of migratory artisanal fishers who travel the length of West Africa’s coast searching for new fishing grounds to exploit, may have contributed to the decline of sawfishes. The Gambia Recently unearthed research from the 1970s documented the importance of the Gambia River as a habitat for juvenile largetooth sawfishes. Forty years later, I interviewed fishermen along the river and coast and found little evidence to suggest that sawfishes are still encountered. This population now appears to be locally extinct. Madagascar I have found more sawfish rostra in Madagascar than anywhere else I have worked. It seems highly likely that sawfishes are present in this country, possibly in three or more distinct habitats. In 2017 I hope to conduct sampling by means of gill nets to verify the presence of sawfishes. If successful, I also intend to encourage Madagascar’s Ministry of Fisheries to develop a national sawfish conservation strategy. Mozambique Interviews with fishers in Mozambique leave no doubt in my mind that sawfishes are still caught along the northern part of the coast. The logistics of working in this part of the country are complex, however, and recent political unrest and violence in the region have made it challenging to learn more. Peru and Ecuador Sawfishes were previously thought to occur only occasionally in Peruvian waters, but interviews suggest that largetooth sawfishes were encountered quite often by fishermen in the north. There have been some very recent catches of sawfishes in this region, including an adult sawfish caught off northern Peru in February 2015, which was released alive thanks to the education activities of a local NGO. In some South American countries where cockfighting is a popular pastime, the teeth from sawfish rostra have been used as the espuelas, or spurs, that are attached to the legs of roosters to injure their opponent. The Philippines The fish stocks and coastal and riverine habitats of the Philippines are highly degraded and under considerable pressure from a growing human population. Older fishermen around some of the country’s large rivers recalled having seen sawfishes in their youth, but no one spoke of catching any in recent decades. A largetooth sawfish was landed in Mindanao in 2014, but overall it seems likely that sawfishes are locally extinct around the Philippines. 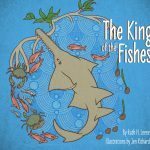 I have developed an educational book that explains how balanced ecosystems – those that include sawfishes, other top predators and mangroves – are healthy ecosystems that protect and provide for the human communities dependent on them. Such communities often have little or no access to educational resources and The King of the Fishes, inspired by the name given to the sawfish by fishers in Mahajamba Bay, has been developed with them in mind. 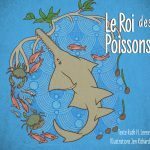 The book has been published by the Save Our Seas Foundation and will be distributed in fishing communities in Madagascar later in 2017, as part of a longer-term strategy to encourage a sense of stewardship for sawfishes and their habitats. Sawfish populations are in decline worldwide and sawfishes are the most endangered of all sharks and rays. 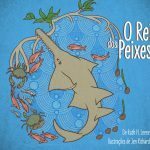 The aim of this educational film is to explain to fishing communities in Mozambique how sawfishes and other sharks and rays help to keep ocean and river ecosystems balanced and healthy. 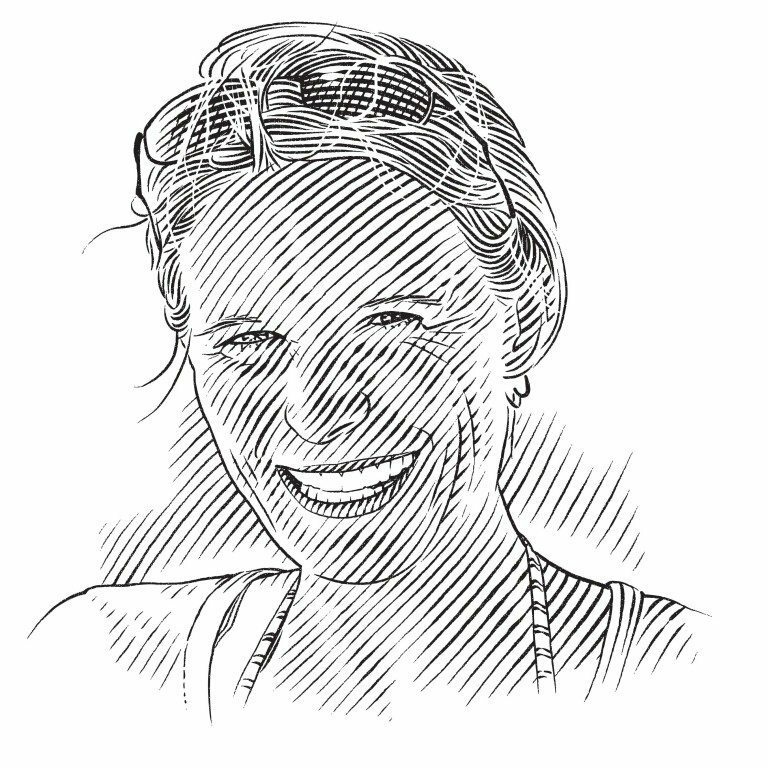 Based in one of the world’s most unusual and unexplored ecosystems, Ruth aims to unravel the mystery of Madagascar’s sawfishes. Which species are present? What threats do they face? Can communities be convinced to protect them?